Every now and then you discover a book that has somehow completely passed you by. I generally like to think I’m aware of the better releases in the Roman genre. I write in it, so I keep my eye on it, of course. I became aware of Blixt and his books through mututal connection. I write books with the historical fiction collective known as H360. So does David. We’ve not worked on a project together yet, but there is that connection, and I discovered in looking at his Verona series that he also has a Roman series. Now the H360 team don’t take on bad writers, so my interest was truly piqued. I opened the book not knowing what to expect. Sometimes I will read a book purely on the author’s name, sometimes on the title and sometimes (yes I know they say you shouldn’t) on the cover., without reading even a basic blurb. Consequently I had no idea what Colossus: Stone and Steel was about other than it was Roman and written by David Blixt. Pleasant surprise time. Stone and steel drew me in and kept me reading at any given opportunity until I hit the end and wished I had time to start the next book. Stone and Steel was simply an excellent book. We start with excitement and atmosphere in first century Judea. The characters are fictional but very realistic and strong, and I was being quickly drawn in when I read a name, made instant connections and realised we were reading about the writer Josephus, one of my fave personalities in ancient Rome. In fact, I had toyed with writing the story of Flavius Josephus myself, and it was a project in a shelf somewhere. Glad I never tried, because I couldn’t do him the justice Blixt does. You know why? Because this book is partially about Vespasian and the Flavian family, and Rome and its pernickety emperors and implacable consuls. But it is more about the Jewish people in Roman Judea and their struggles against sometimes Rome but more often each other. And while I know imperial Rome quite well, my familiarity with ancient Israel is less than fragmentary. So this book really struck me perfectly. It was at once familiar and strange, Roman and Jewish, imperial and rebellious. Blixt shows a deep understanding of the time and culture and displays a most impressive ability to portray this in fiction. So now you know this is about the Flavians and Josephus and the Jewish War. And for those who know the history I will also add the name Jotopata. This is the tale of brothers and friends and family on both sides in a war that no one really thinks can do any good. This is a tale of internecine warfare, of the unstoppable war machine and the uncrushable Jewish spirit. It is the story of a brutal siege and of cultures clashing. Essentially, Stone and Steel is well-written, beautifully researched, clever, informative, atmospheric and a must read for every fan of the genre. The characters are fully fleshed-out, the action exciting, the history accurate. 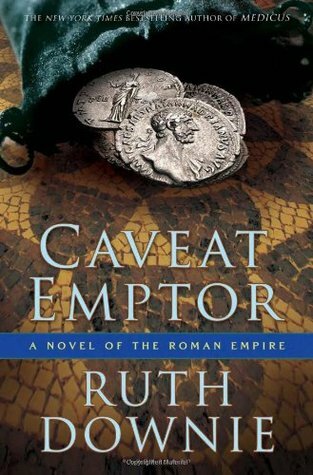 The book ranks up easily along with the very cream of Roman fiction. I heartily recommend it. Read Blixt’s book. You won’t regret it. So I don’t often blather about my own books on this blog, but today is release day for the paperback of Caligula. And while like every author I love books to sell for obvious reasons, this is the first book I’ve sold that you can readily buy in bricks-and-mortar bookshops. And the success of Caligula will determine how many sequels I get to write. Caligula is out there, and Commodus is coming in spring, but there could be two more. If you lovely people buy Caligula, that is. Caligula. A new telling of an old, old story. So now is the time. If you like your Roman history, try Caligula. And watch out on my social media for the next week for one heck of a competition to win some AMAZING goodies. Wander in to your local book store and order it. Or go online and buy it. Christmas is coming up. I bet your dad would love to read a juicy tale about Rome’s most infamous emperor. Heh heh heh. Caligula is available in paperback (or hardback) with free worldwide delivery from Book Depository here. Also available as an Audible audio book here. And really, it doesn’t get better than in the lovely tones of Laura Kirman. That’s it, lovely people. All I have. Now off to potentially plot two more damned emperors. Sometimes books just appear at serendipitous times. Last month this book was released, penned by one of the top scholars in his field, a man whose work I trust implicitly. I happened to have just finished writing my novel on Commodus and sent it to my editor. But since Verus was the uncle of my emperor and has an important role in my tale, I simply had to read this. Glad I did. There was so much in here that I needed to add to my story, and fortunately I had that opportunity during the editing stage. ‘Lucius Verus’ was something of an eye-opener. Bishop starts out on his journey through Verus’ life by explaining that he is not attempting to ‘rehabilitate’ Verus and remove the stigma that history has left, but rather to remove the chaff from accounts and reveal only what truths or perceivable truths lie beneath the endless bias of biographers ancient and modern. In a way, he might have failed in that task in the nicest possible way, because by the end, I found Verus thoroughly rehabilitated and sympathetic. Much, fortunately, like the character in my novel. Phew. This book is actually two subjects rolled into one, as the title suggests. It is at one and the same time a detailed and as accurate as it is possible to be biography of the man who co-ruled the empire with the great Marcus Aurelius, and a military narrative on the Parthian campaigns of the 160s AD. That it achieves both aims smoothly and without feeling at odds with one another is superb. An almost unparalleled knowledge and understanding of the Roman world, which manifests in every tiny detail he produces being presented with clarity, sureness and relevance. A wry wit and easy style that prevents any danger of the book slipping into dusty irredeemable academia. The book begins by explaining its purpose and goals. Bishop then goes on to examine in detail all the sources on Verus’ life and evaluate them carefully. From there, he moves onto a biography of the emperor’s life until his accession to power with his brother. We then learn of the situation in the east and are treated to a little history of the borderland. An examination of the joint emperors’ rule and the nature of their sharing of power follows before we head east with Verus to examine his campaign in more detail than I expected. On the conclusion of that, Bishop then goes on to tell us of Verus’ life from there until his untimely death, before evaluating the ‘wastrel’ emperor and presenting his conclusion to the reader. The appendices are as interesting and important as the rest of the text, too, including copies of the emperor’s letters ans, most impressive of all, an attempt at redacting the infamous Historia Augusta, trimming the chaff and presenting a more factual, more reasonable selection within it. I am not going to go into any further detail on the contents here, though I will say that there was not a section or even a page that I was tempted to skim over. And I challenge anyone to read the book and not have their opinion of Verus altered. In short, the book is probably my favourite of Bishop’s works (and I have a dozen or so), and as a clarified biography of a maligned man, it matches Winterling’s Caligula, which was the main basis for my own last imperial work. Pride of place on my shelves and a more than worthy exploration of a man who has been largely ignored thus far by historians. I am something of a lover of all things Byzantine these days, and an avid reader of historical fiction, of course, and so it’s no wonder really that this book came to my attention. Tales of Byzantium is a collection of three short stories, and so I shall deal with each individually briefly, and then the whole thing to finish. The first story is primarily a love story. It is the tale of Constantine Porphyrogenitus and his lady Helena (he’s one of my heroes, responsible for Tekfur Saray palace in Istanbul.) This story actually takes up more than half the whole book. Once I realised that this was a romantic tale, just a short way in, I thought I probably wouldn’t like it – historical romance has to be done exceptionally well to hook me. But oddly I stuck with this, and am glad I did, for it is far more than a love story. It is an examination of the characters, of what it meant to be a member of one of the great dynasties, to be the empress, it’s an examination of the dichotomy of the whole Byzantine world, in that they were such a cultured ancient people, who were the most powerful nation imaginable, and yet they were also riven by self-destructive tendencies and unable to come to terms with their both east and west and the changing world around them. Perhaps for me, most of all, I enjoyed the scenery, for Istanbul (Constantinople) is my heartland, and I could picture every location as it was brought forth. No. In honesty, it was the characters of Constantine and Helena. They were beautifully portrayed. So if romance is not your thing, brush that trend aside and read it anyway, paying attention to the people. 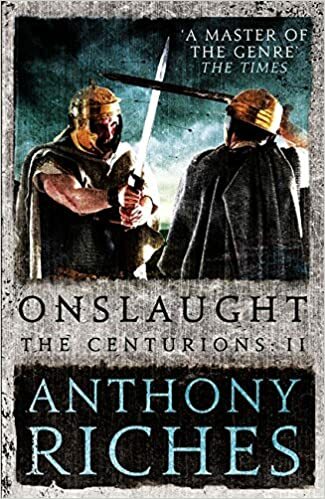 The second tale is more my usual fare, being a military story based around a siege involving another of my faves, Manuel Komnenos (or Comnenus in the tale). The characters in this (Manuel in particular) are immensely likeable and deeply realistic. The story is one that has something of a twist, and I liked the way it was framed as a retrospective view. There are action scenes, some humour, and a light exploration of the politics of the era. War fans will enjoy the moments of the actual siege. My one complaint about this tale is that it could so easily have been a much bigger story. It could have been played out slower and longer, as long as the first story, really, and that would have given us more tension over the events that are central to the story and more opportunity to come to know Manuel. All in all, it’s a nice story and a good read. I just feel it was a slightly missed opportunity for something larger. The third tale is of an exiled princess, who, trapped in a tedious life in a monastery, manages to live a life in almost solitude despite being in a city of millions. Demeaningly for a woman of her status, she is given the task of teaching a young nun to read and in doing so decides that an unfinished story should be finished. This is Anna Komnena, who wrote the great Alexiad which documented the empire at the time of the earliest crusades. Once more, this is a beautiful vignette well-written and lovingly-researched, with well-fleshed out characters and attention to detail. Once again, though, I felt that this came across more as the prologue of a much grander work than a tale on its own. If Stephenson decides at some point to write a grand epic of the eleventh and/or twelfth centuries in thew Byzantine world, this would make a lovely start to it. Overall, then, the writing is lovely. The characters are presented just right, there is a depth and colour to the world that Stephenson has clearly treated as a labout of love. The stories are entertaining and intriguing and tell of some of the great characters of the Imperial dynasties with a great deal of historical knowledge and accuracy. The whole book is a very easy and enthralling read. My only issue was that of the three tales only one felt complete, the other two being a little brief for me. But at 99p in ebook form, it is well worth the money and worth a read nonetheless, and certainly made me appreciate the author’s skill. I shall look out for further work by her.